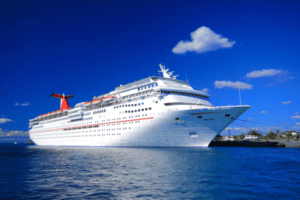 Houston Cruise Ship Injury Accident Lawyer | Simmons and Fletcher, P.C. Cruise ships advertise good times, but sometimes bad things can happen aboard to passengers or crew members. If you or a loved one has suffered serious injury aboard a cruise vessel, contact Simmons and Fletcher, P.C.,er and obtain quality, professional Texas maritime legal counsel. Our cruise ship accident lawyers will apply their years of experience to help you and your family. If you have experienced a serious injury aboard a cruise ship, contact Simmons and Fletcher, P.C. so that your rights are protected. As you know when you sign up for a cruise, there is a ton of paperwork you must fill out in order to go aboard. There is almost always some sort of disclaimer of rights contained in your contract that you should read carefully before signing. Often, cruise ship companies try to avoid responsibility for their own negligence and/or gross negligence by making you sign a waiver. These waivers may or may not be valid depending upon which law applies. Additionally, cruise ship tickets shortening the statute of limitations to one year or less is another way cruise lines seek to limit or avoid responsibility for their actions. 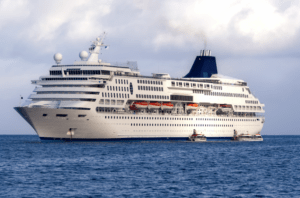 That is why is is critical that if you are injured while aboard a cruise ship, you immediately seek the advice of a cruise ship injury attorney to determine your rights. The consultation to determine your rights is absolutely free. If we can help you, we work on a contingency fee basis which means you don’t pay a dime unless we make a recovery for you. At Simmons and Fletcher, P.C. we are dedicated to your case and endeavor to give solid legal counsel and representation that is rooted in Christian values. Call us to schedule your appointment today: 1-800-298-0111.